Ginger jars of all colors, shapes and sizes were used in China to store vegetables and spices such as ginger. 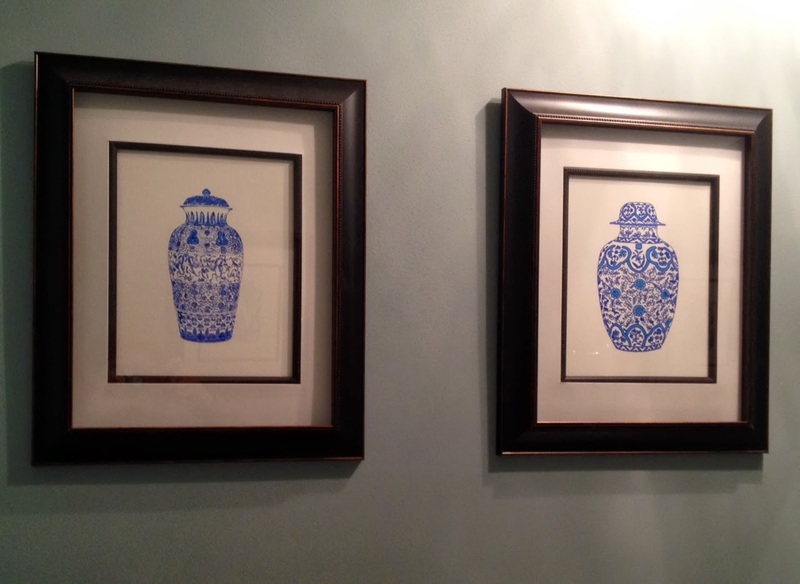 These functional works of art revealed beautifully painted designs. 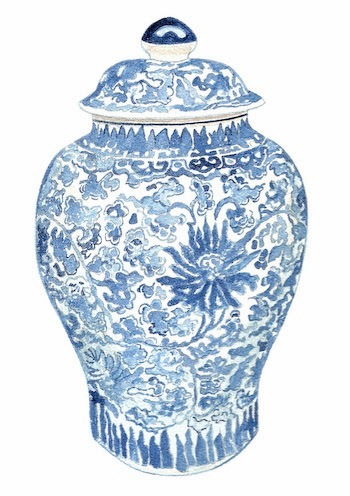 During the colonial period, blue and white pieces were being exported to Europe and were highly coveted by people in the colonies. Consider incorporating blue and white porcelain in other shapes and sizes like the Ginger Jar Umbrella Holder. Convert a ginger jar into a lamp. 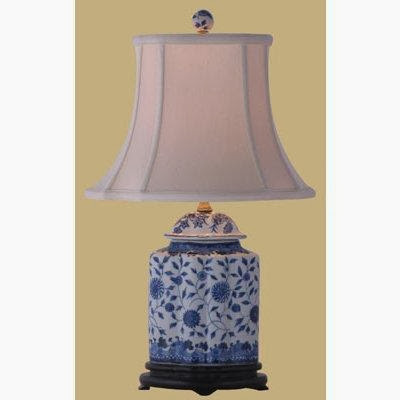 Here's a Blue and White Chinoiserie Lamp that is ready to use in your home. 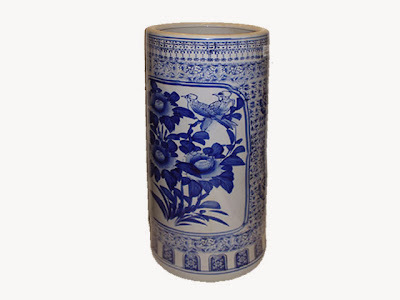 A Blue and White Garden Stool adds a pop of color and chic chinoiserie style to any outdoor space. If I were more talented with needlepoint, I'd be first in line for this Ginger Jar Needlepoint Kit. Frame your work and proudly display it. 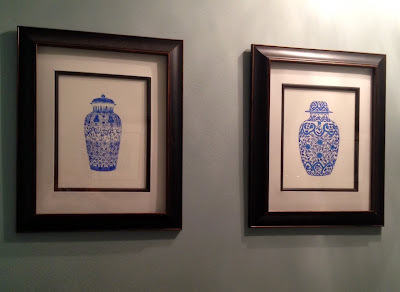 What are your favorite blue and white pieces? 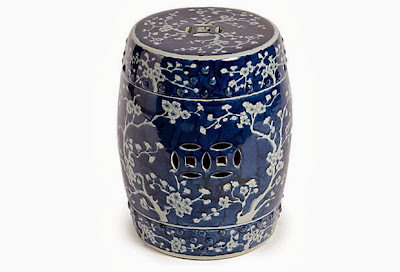 Ginger jars are so pretty! When I get a house of my own, I definitely plan on decorating with some. I love ginger jars and blue/white glassware. We have a beautiful, limited edition decanter from England that I adore. Jacob ~ That sounds lovely! I bet it's an exquisite decorative piece. 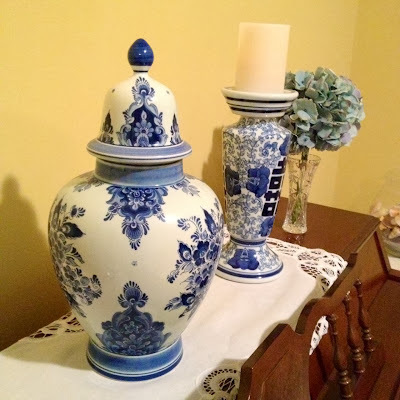 I collect blue and white porcelain, and ginger jars are my favorite but I also have a few tall (12-15 inch) vases as well as a few lamps that are also favorites. I can't get enough of it, but am running out of room to display it!